What a difference! It’s been a bit of an epic task, but I’m so happy with the result. It was a messy job, but I gave them a good sand (wearing a mask of course), before painting the treads with the same Ronseal Whiteash that I’ve used throughout the house. 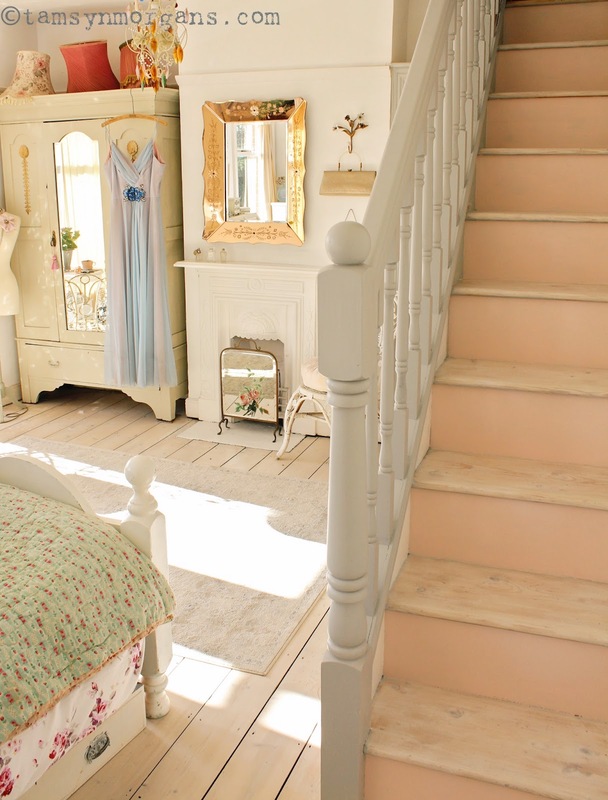 I was going to do the uprights white, but at the last minute I fancied peachy pink (like you do!! ), to echo my vintage mirror above the fireplace. I’m doing the bannisters grey, and they’re taking an age, but I try to do a little bit every day. The sun is out here and it’s glorious, so I’m off outside to do some gardening. I bough some lupins and hollyhocks at the car boot fair this morning, for some vibrant colour and height in the front garden. 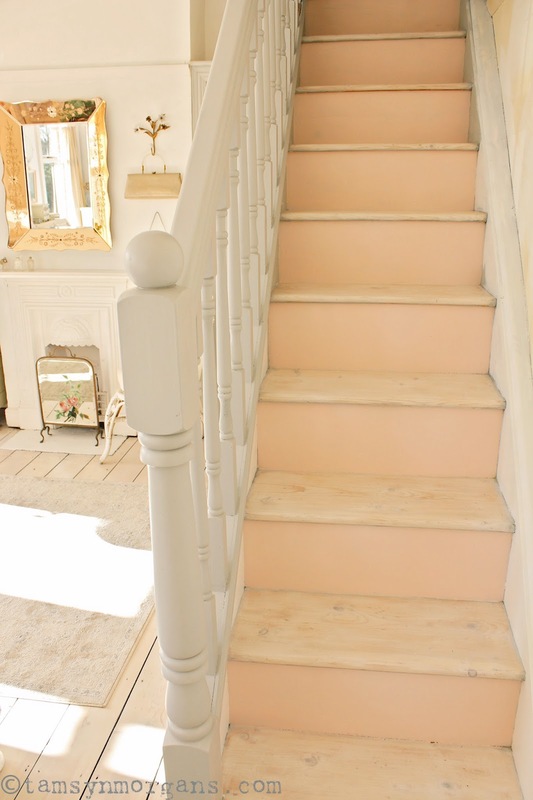 Oh so happy you went with the peachy pink risers – absolutely delightful!!! Your home is just so joyful and welcoming – I love all that you have accomplished, and all of your decor choices have been wonderful! !